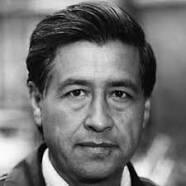 The story of Cesar Estrada Chavez begins near Yuma, Arizona. 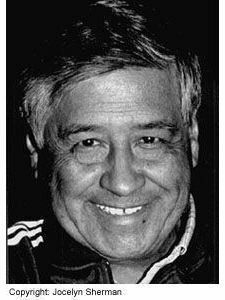 Cesar was born on March 31, 1927. He was named after his grandfather, Cesario. Regrettably, the story of Cesar Estrada Chavez also ends near Yuma, Arizona. He passed away on April 23, 1993, in San Luis, a small village near Yuma, Arizona. He learned about justice or rather injustice early in his life. Cesar grew up in Arizona; the small adobe home, where Cesar was born was swindled from them by dishonest Anglos. Cesar’s father agreed to clear eighty acres of land and in exchange, he would receive the deed to forty acres of land that adjoined the home. The agreement was broken and the land sold to a man named Justus Jackson. Cesar’s dad went to a lawyer who advised him to borrow money and buy the land. Later when Cesar’s father could not pay the interest on the loan the lawyer bought back the land and sold it to the original owner. Cesar learned a lesson about the injustice that he would never forget. Later, he would say, The love for justice that is in us is not only the best part of our being but it is also the truest to our nature.